How much do you bench? 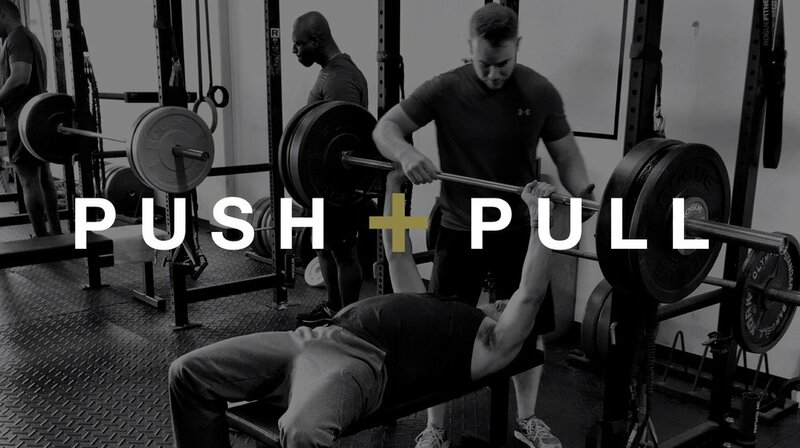 Get ready to dust off you man cards, bulletproof your shoulders and build that bigger chest/back you've always wanted with our 6-Week specialty program, Push+Pull. We've designed this supplemental program to deliver ultimate upper body strength while developing the mobility and stability to help prevent future injuries. For the Push+Pull semi-private training program, we’re looking for 8-12 people who are 100% ready to commit AND encourage others on the same path. 12 semi-private group training sessions designed to build strength, stamina and mobility for the chest, back and shoulders. Weekly homework to complete at home, at enduraLAB or as a group class finisher. Please submit your name and email address below to receive the latest Specialty Program schedule. Payment is due for the full upon enrollment. There are no refunds for missed classes OR for this program. You will be challenged in Push+Pull. After all, if it doesn't challenge you, it won't change you. We will give you every tool to complete your mission, but ultimately it’s up to you to dig in, do the work and ask questions. Click the link below to contact the enduraLAB team with any questions you might have about the program.